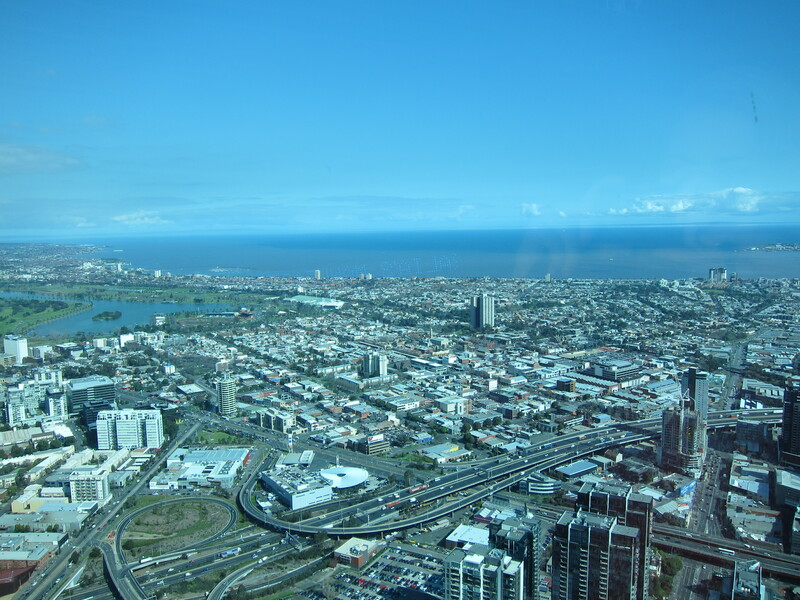 A TRIP up the Eureka Skydeck in Melbourne’s Southbank may sound pointless – and it is – but I felt it was righteously symbolic of my new quest. Being a dyed-in-the-wool navel gazer, I’ve come to realise that I need to develop a helicopter view of the world. You can take that literally – for example, I am forever missing the bunnies and roos of Castlemaine as I meander around thinking about pashing (“Look there’s another one,” locals cry in frustration when something hops past after I’ve denied its existence) – or philosophically. My new manifesto? To see. To really see. Today was a very bright day, allowing me to see once and for all that the Spirit of Tasmania is nowhere near St Kilda. Keeper: Mayhaps. I manged to get absolutely no takers for this one and it was a bit lonely pointing out the West Gate Bridge to myself.